Francisco Adsuar, 25, of Drake House, St Francis Way, Brentwood, was fined £120 and must pay £30 victim surcharge, £85 costs, after admitting drink-driving (72mg of alcohol in 100ml of breath) after admitting drink-driving on the A27 Chichester bypass at the Bognor Bridge Roundabout on November 6, 2018. He was disqualified from driving for 22 months. Darren Harle, 30, of Churchmead Close, Lavant, was given a community order with Rehabilitation Activity Requirement and fined £50 after admitting stealing an assortment of food having entered part of St Richard’s Hospital, Chichester, as a trespasser on January 24, 2018. He must pay £85 victim surcharge, £85 costs. He admitted breaching a conditional discharge order and was dealt with for the original offence, receiving a community order for handling stolen goods in Chichester on November 15, 2017. He admitted breaching a community order and was dealt with for the original offence, receiving a community order for theft from Sainsbury’s, Chichester, on May 15, 2018. David ONeill, 50, of Greenwood Avenue, Bognor Regis, was given an eight-week prison sentence, suspended for 12 months, with 12-week curfew, electronically monitored, from 9pm to 6am daily, and Rehabilitation Activity Requirement after admitting assault causing actual bodily harm in Bognor Regis on October 14, 2018. He must pay £115 victim surcharge, £85 costs. Konrad Gnat, 20, of St Nicholas Lane, Bognor Regis, was fined £253 and must pay £85 victim surcharge, £85 costs, after admitting drink-driving (85mg of alcohol in 100ml of breath) in West Street, Bognor Regis, on November 13, 2018. He was disqualified from driving for 17 months. He was fined £253 after admitting driving without insurance in West Street, Bognor Regis, on November 13, 2018. He also admitted driving without the correct licence, no separate penalty. He was given a community order and must carry out 120 hours’ unpaid work after admitting stealing a vehicle in Middleton-on-Sea on November 13, 2018. David McGinniess, 27, of Colonnade Road, Bournemouth, was fined £200 after admitting possessing cannabis resin, a class B drug, in Chichester on November 11, 2018. He was fined £300 and must pay £30 victim surcharge, £85 costs, after admitting drink-driving (80mg of alcohol in 100ml of breath) in Premier Inn car park, Chichester Gate, on November 11, 2018. He was disqualified from driving for 20 months. Daniel Bies, 34, of Lyon Street, Bognor Regis, was given a community order and must carry out 120 hours’ unpaid work after admitting drink-driving (112mg of alcohol in 100ml of breath) in Chichester Road, Bognor Regis, on November 9, 2018. He must pay £85 victim surcharge, £85 costs, and was disqualified from driving for 26 months. Makorlee Green, 22, of Canal Place, Chichester, was given a community order with Rehabilitation Activity Requirement after admitting supplying cannabis, a class B drug, in Chichester on November 11, 2018. He must pay £85 victim surcharge, £85 costs. He also admitted possessing cannabis in Chichester on November 11, 2018, no separate penalty. He admitted breaching a conditional discharge order, no action taken. 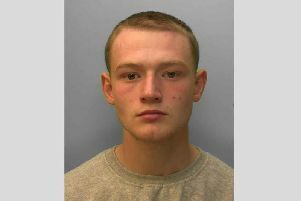 Dean Gudgeon, 18, of Orchard Way, Bognor Regis, was discharged conditionally for 12 months and must pay £20 victim surcharge, £85 costs, after admitting four charges of attempting to steal items of unknown value in Bognor Regis on August 8, 2018. Ian Sippitts, 51, of Henderson Road, Southsea, was fined £50 after admitting failing to stop at a red light at Nutbourne Level Crossing on August 28, 2018. He was fined £400 and must pay £40 victim surcharge, £85 costs, after admitting driving without insurance in Broad Road, Nutbourne, on August 28, 2018. He admitted driving without the correct licence in Broad Road, Nutbourne, on August 28, 2018, no separate penalty. He was disqualified from driving for six months.